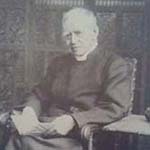 In his address at the consecration of the Ss Mary & John Churchyard in 1878, the Bishop of Oxford set out the vision of a churchyard which had " the ground laid out, with flowers and shrubs all in their order, so that (visitors) may go in the summer time and walk up and down there, and enjoy themselves with many happy thoughts, amid all the memories of the past." 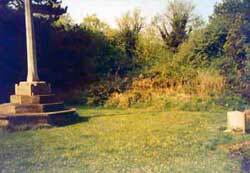 (see 'An introduction to the history linked with the churchyard'). It was indeed landscaped with this vision in mind, including specimen trees such as Wellingtonias and Corsican Pines, avenues of Lime trees, Horsechestnuts on the boundary, and Yews and Hollies marking the paths. 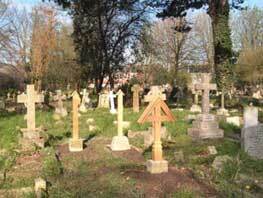 For nearly 100 years, church members and descendants of those buried in the churchyard cared for it, keeping the shrubs pruned and the grass between the graves cut. 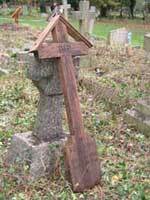 However, post the Second World War, volunteers were in short supply, families moved away, and gradually the churchyard became over grown: self-sown trees grew up in the middle of graves, brambles and ivy ran riot, memorials disappeared under a tangle of scrub. By the 1990's it was almost impenetrable, except for small hideouts created by those looking for somewhere to sleep or by those using and trafficking in drugs. 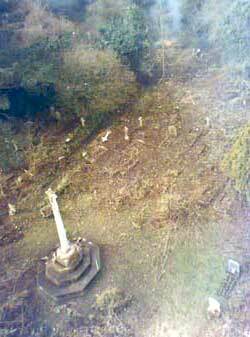 In 2000, on the initiative of a Community Policeman, a group of soldiers from the Pioneer Regiment based in Bicester, offered their services to cut down the jungle and create access to the memorials, many of them now dislodged and broken. 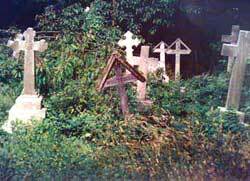 But the extent of the disarray having been revealed, and well aware that dense undergrowth would rather quickly develop again, the church needed to decide how the churchyard could be managed in future. 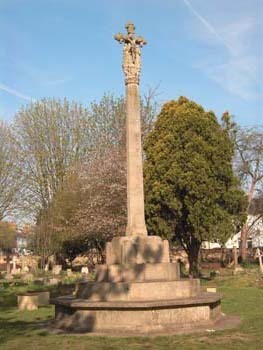 As a first step, given that it was already full, the churchyard was closed for burials and Oxford City Council took over responsibility for maintenance, albeit on the understanding that the responsibility could only be exercised in parts of the churchyard restored to a safe and manageable condition. So began much consultation and cooperation with the local community. In partnership with East Oxford Action (funded by the Single Regeneration Budget), old paths were re-surfaced, entrances re-opened, and lighting installed. 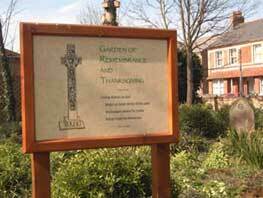 The response to displays at public events and to questionnaires distributed among residents supported the idea that the churchyard should be managed as a wildlife conservation area. A five-year management plan and a tree survey were commissioned. Volunteer working parties continued the task of removing accumulated litter, including hundreds of discarded syringe needles, and of cutting back high shrubs and rampant brambles and ivy so that there would be visibility throughout. Conservation hedges were planted round the boundary to replace some of the bird habitat lost in the clearance. At the same time, a small group worked with the Oxford Family History Society to create a map of the grave plots and to transcribe the inscriptions on all the gravestones (now available as a CD). A great boost was given in 2003 when the churchyard was designated a Jubilee Wildlife Space, one of ten new 'spaces for nature' in the County created as a tribute to the Queen for her golden jubilee. 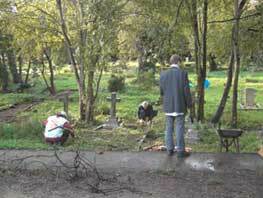 Funding was then secured for discrete projects, first to improve the three entrance areas. A wildflower garden of Thanksgiving and Remembrance was planted out, crossed by a pathway and stepping stones in grey-blue slate. 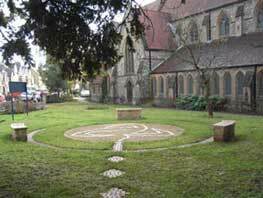 Fusion Arts commissioned two artists, in cooperation with local people, to design a 'rest-space' in front of the church: they created a cobbled mini-labyrinth which has become the centre-piece of a community garden welcoming people to the church and churchyard. Interpretation boards, describing the wildlife and the links between the memorials and local history, have been placed near the through path, allowing many people to take a moment to reflect a little on both past and present. From the summer of 2005, a grant from the Heritage Lottery Fund has supported the development of educational material to encourage exploration of both the wildlife and the local social history. 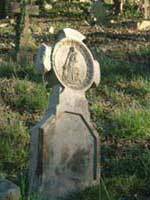 Crucially, the grant has covered the restoration of selected memorials by expert conservators and also repair work necessary to provide safe access (much appreciated by those who were formerly too fearful to visit family graves). This website makes the educational resource available for anyone and everyone to use.